We have developed the GECA (Generic Embodied Conversational Agents) as a generic framework for building an ECA system on multiple servers connected with each other by a computer network . GECA allows for mediating and transporting data stream and command messages among software modules. It provides with a high-level protocol for exchanging XML messages among components such as input sensors, inference engines, the emotion model, the personality model, the dialogue manager, the face and body animation engines, etc. An application programming interface is made available on main-stream operating systems so that the programmer can easily adapt ECA software modules to incorporate into the GECA platform. The blackboard model is employed as the backbone. 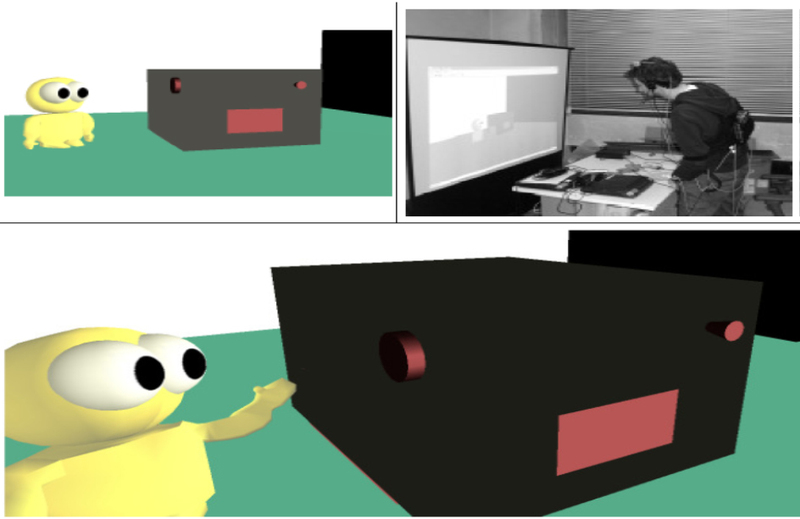 We are developing a virtual agent that can play attention to the behaviors of the user  and take the role of a technical support engineer that can provide a human user with information about a complex industrial device (Fig.1). Fig.1:VTSE: Virtual Technical Support Engineer. Hung-Hsuan Huang, Takuya Furukawa, Hiroki Ohashi, Aleksandra Cerekovic, Igor S. Pandzic, Yukiko I. Nakano, Toyoaki Nishida: How Multiple Current Users React to a Quiz Agent Attentive to the Dynamics of Their Participation, 9th International Conference on Autonomous Agents and Multiagent Systems (AAMAS’10), Toronto, Canada, May 10-14, 2010. Accepted for presentation. Hung-Hsuan Huang, Aleksandra Cerekovic, Igor S. Pandzic, Yukiko I. Nakano, and Toyoaki Nishida: The Design of a Generic Framework for Integrating ECA Components, Proceedings of 7th International Conference of Autonomous Agents and Multiagent Systems (AAMAS08), Estoril, Portugal, pp128-135, May, 2008.